DAEJEON -- In search of technologies beneficial for mankind, the nation’s fourth-biggest conglomerate LG Group has focused its research and development capabilities since 2010 on improving water, energy and air. And LG Chem, the group’s battery and petrochemicals unit, has been a crucial part of that mission. 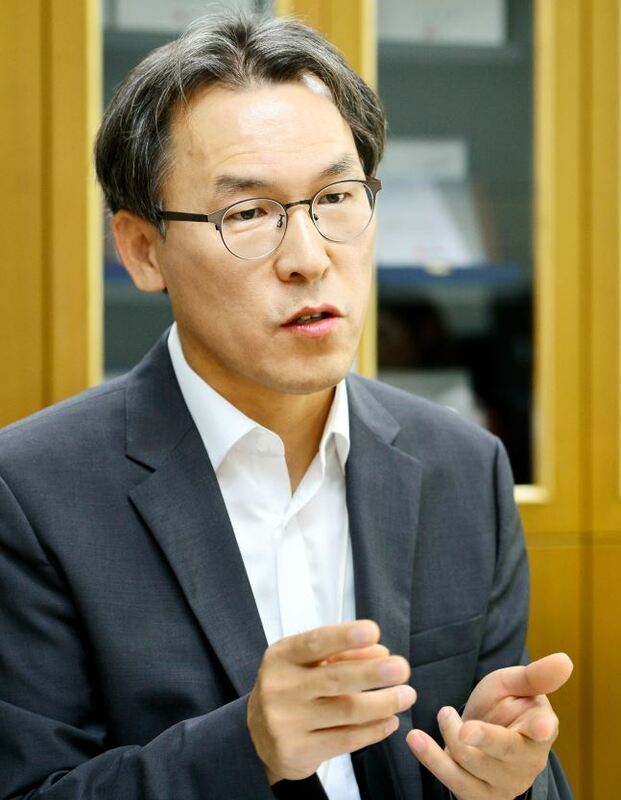 “Back then, LG came up with a whole new business out of the mission to improve the quality of water by using its technological prowess,” said Shin Chong-kyu, a research fellow at LG Chem’s R&D Center in Daejeon in an interview with The Korea Herald. The LG affiliate specialized in advanced materials has been developing a series of technologies applying its own membrane technologies to make usable water for industries and drinkable for the people. LG Chem is now tapping into reverse osmosis as a water purification technology, using semipermeable membranes to remove ions, molecules and larger particles from drinking water, which has been in use for about 40 years by global water treatment solution companies like DowDuPont, Toray and Nitto. LG is not the first to use the process, but is using its proprietary thin-film nanocomposite material that can remove up to 99.89 percent of debris and other foreign substances while sending water out smoothly. LG Chem is currently applying the technology using thin-film nanocomposite material filters for desalination of sea water, water treatment for industrial use and water purification for residential use. Shin believes the use of the membrane technology could expand to the air and vehicles by utilizing the fundamental principle of filtering. “We are working with a foreign partner to develop a membrane that will enable filtering carbon dioxide from natural gas in mining fields with an aim to commercialize the technology in next few years,” he said. The membrane technology could also contribute to resolving today’s fine dust problems in Korea when ceramic filters are developed, the engineer said. LG Chem is also seriously researching graphene and aquaporin substances as next-generation materials for membranes, he said. By extension, another area of application is fuel cell vehicles, the research fellow elaborated.